Volvo has lit a research project using electric bus batteries to store solar energy. 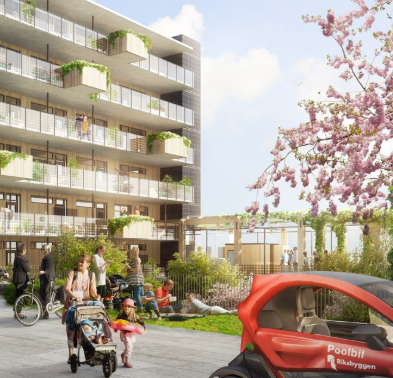 Volvo Buses is partnering with Göteborg Energi, Riksbyggen and Johanneberg Science Park on an initiative looking at storage in apartment blocks. The idea is to give used electric bus batteries a second lease of life as solar energy storage units to manage the energy requirements of the Positive Footprint Housing, a new sustainable housing initiative. The battery-based ‘energy warehouse’ is used to cut the property's power consumption peaks, as well as to store or sell surplus solar energy. It can also be deloyed to buy and store electricity from the national grid when it is cheap and green, for later use.